TFCon, the largest fan-organized Transformers convention, had recently held its Los Angeles event and many upcoming releases were announced during the 3rd Party Preview Panel. One of groups present in the panel was Ocular Max, kind of a sister group of Mastermind Creations, and they announced a new line and its first offering. 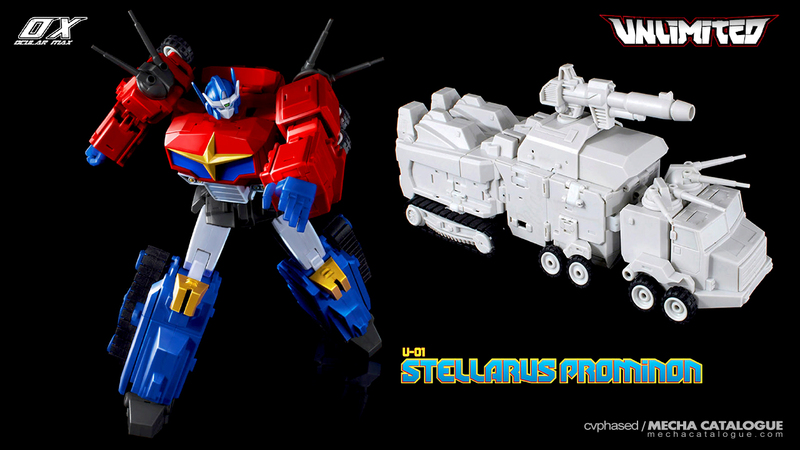 This is U-01 Stellarus Prominon, their take on Star Convoy from Transformers: Return of Convoy, part of the Japanese-exclusive Generation 1 continuity. This will be the first release from the new Unlimited line though I have no idea what the line’s supposed to be. I do hope that it would be in the same scale as Mastermind Creations’ Reformatted figures or somewhere within the Voyager Class size.